Dwindling performance is typically a sign that your air conditioner has gotten too old. 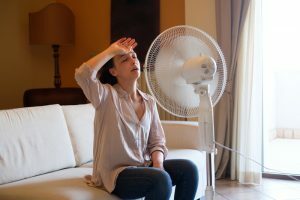 After about ten to twelve years of use, you shouldn’t be surprised to find that your AC is not cooling your home like it used to. Even with maintenance and repairs, your AC will inevitably stop performing at acceptable standards. By then, it will actually be less expensive to have it replaced. If age isn’t the issue, maybe you just haven’t had maintenance performed in a while. The point of maintenance is to keep your system running at maximum efficiency long before it develops serious repair issues. In other words, your AC doesn’t have to be making terrible noises or failing to provide cool air to benefit from some maintenance. A thorough maintenance check from an expert of central air conditioning in Miami will give your AC’s efficiency and performance a nice boost. We can never say this one enough: make sure to change the air filter regularly! A dirty air filter restricts airflow to the air conditioner. No air flow = substantially lower performance. Not only that, but a clogged air filter can eventually lead to more serious issues, like frozen evaporator coils or short-cycling. While this isn’t a problem with the air conditioner itself, it can certainly seem like one. Leaks in the air ducts will drain your freshly cooled air up into your attic rather than into your home. Unsurprisingly, that means you’ll need to run your air conditioner longer to feel the usual amount of comfort. It might even tempt you to crank the temperature down lower just to compensate. Although not common, it’s not quite uncommon either for a portion of the refrigerant line to develop a leak. The refrigerant line cycles refrigerant between the condenser coil, compressor, and evaporator coil—the components directly responsible for removing warm air from your home. Without enough refrigerant, these components won’t be able to cool your home properly, and they can even become damaged. Insulation keeps hot air out of the home. In turn, that means a well-insulated attic will help your air conditioner cool the home faster and at a lower cost. If your insulation has deteriorated in the last few years, you might be able to receive a nice efficiency boost by having the insulation replaced. Most problems can be fixed with regular maintenance. Contact Air On Demand today to schedule your maintenance check!